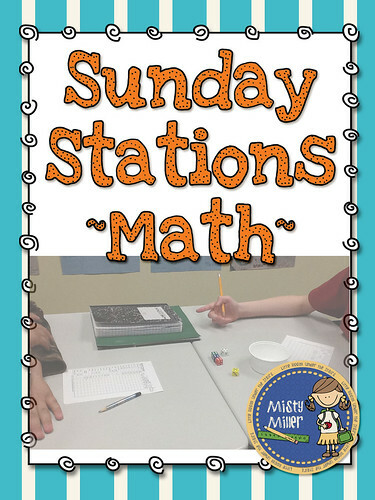 For today's Sunday Stations, I bring you the ever-popular Yahtzee®. 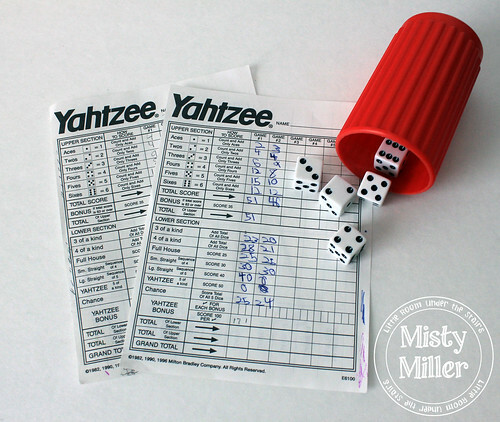 Yahtzee® started out as a game to play on a couple's yacht. I don't know about yachts, but it is a great game to play in the classroom while your students use their math skills. To play, you need 5 dice and a score sheet. You can pick up a Yahtzee® game for around $10 at your local store. You can also check garage sales and thrift stores. Score sheets are sold separately as well if you already have dice. Hasbro has directions on their website to download if you need a copy. I'm sure you are wondering why I would include Yahtzee® as a station when it can be so loud. I have some ideas to help solve the loudness of clinking dice. 1) Foam dice! 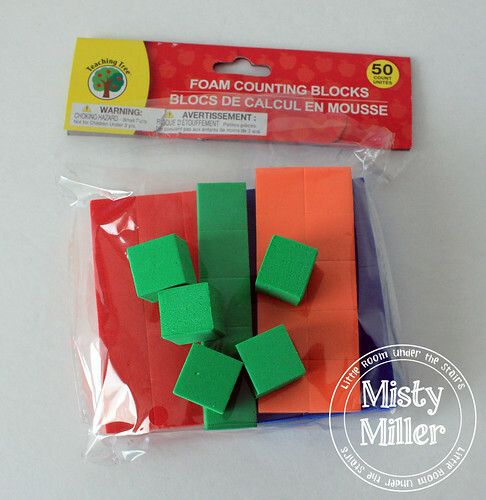 I found some foam counting blocks at my local dollar store. Just add the dots on and now you have quiet dice. 2) Find a shallow container and glue a piece of felt to the bottom. It cuts down on the noise. I used a piece of felt and container that I already had. 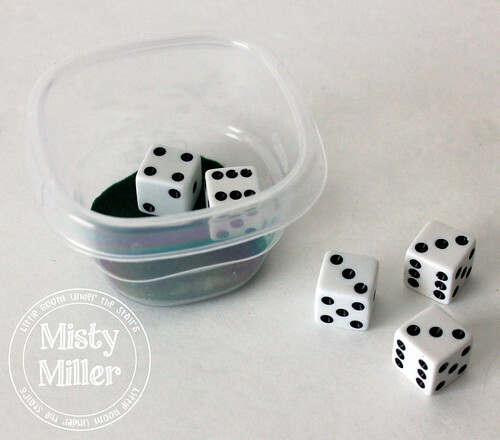 This bowl even has its lid for dice storage! 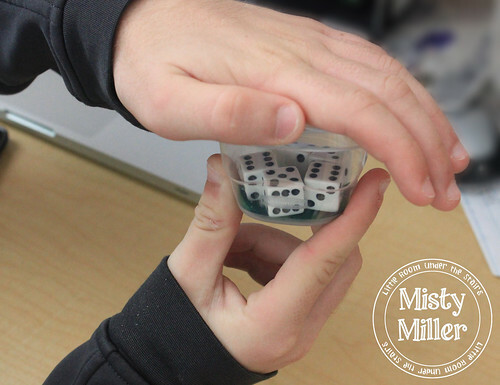 3) When giving Jr. High age students dice, one other problem that comes up is the dice tend to end up in other places besides the top of the desk. My boys, especially, have a tendency to get a little wild with the dice. Teach them to put their hand over the container when they shake it. This also helps with the noise factor. 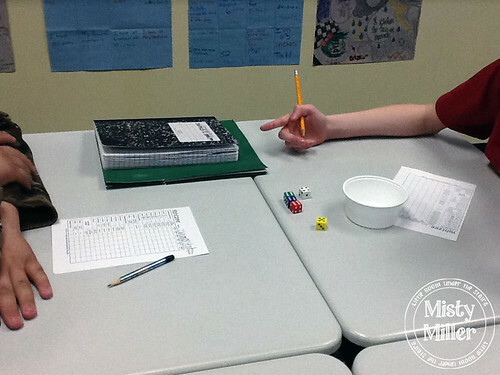 Do you have any other tips for using dice in the classroom? I'd love to hear about them!